The promoter is Meadow View Trading LDA, trading as Mango Beach Tofo. The competition is open to persons aged 18 years or over except employees of Mango Beach and their close relatives and anyone otherwise connected with the organization or judging of the competition. Only one entry will be accepted per email address. Multiple entries from the same email address will be disqualified. Closing date for entry will be [31 October 2018]. After this date the no further entries to the competition will be permitted. The rules of the competition and how to enter are as follows: The promoter reserves the right to cancel or amend the competition and these terms and conditions without notice in the event of a catastrophe, war, civil or military disturbance, act of God or any actual or anticipated breach of any applicable law or regulation or any other event outside of the promoter’s control. Any changes to the competition will be notified to entrants as soon as possible by the promoter. The competition and these terms and conditions will be governed by Mozambique law and any disputes will be subject to the exclusive jurisdiction of the courts of Mozambique. This promotion is in no way sponsored, endorsed or administered by, or associated with, Facebook, Twitter or any other Social Network. You are providing your information to Mango Beach and not to any other party. 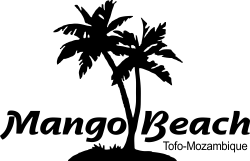 The entrant must be following @mangobeachtofo on Facebook in order to enter. Mango Beach also reserves the right to cancel the competition if circumstances arise outside of its control.